In the morning of Sep 11 2001 World Trade Center in New York was attacked in an act of terrorism. Hijacking commercial airlines Middle East terrorists launched the largest, and first, attack on the United State since the Japanese Pearl Harbour assault in 1941. Almost 3000 innocent people died as the world saw the Twin Towers crumble on live television. Per Fronth lived and worked as an artist in Tribeca and experienced the terrorism first hand as his own neighbourhood became a war zone. He photographed the unfolding events of this historic days. 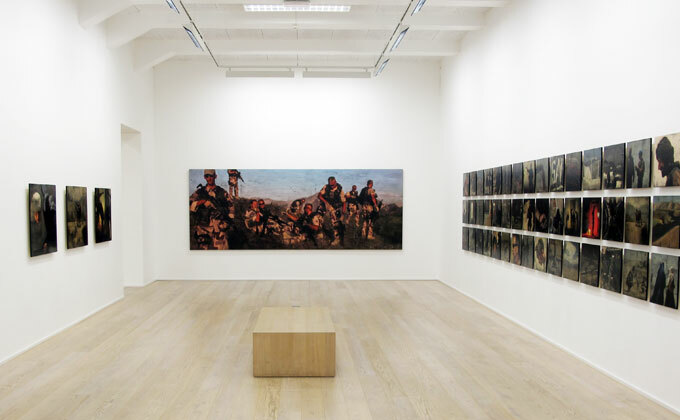 His series Theatre of War investigates the international response to the threat of terrorism, and in 2009 he became the first artist to be embedded with the forces of democracy in Afghanistan. k Road Operations in the north western region of Afghanistan. Per F<ornht with German security forces. 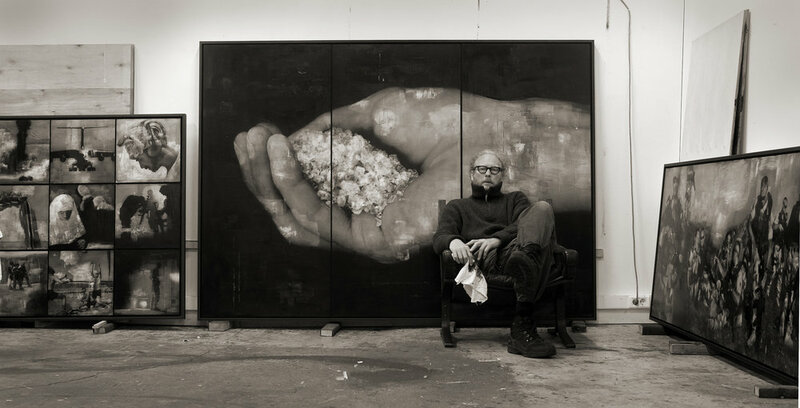 And in his studio with his large commission for the Norwegian Intelligence Service HQ. One of their officers died in a IDF - attack en route from Mamare. Only the broken glass of his windshield remained. This morning Per Fronth became an eyewitness to the largest and most spectacular act of terrorism the world has known. Living in Tribeca in New York just a few blocks away from the WTC at the time Fronth photographed the horror. Here the North Tower seen some 20 minutes after the first plane hit. Silk Road Operations in the north western region of Afghanistan, Per Fronth seen here in the filed with German security forces. 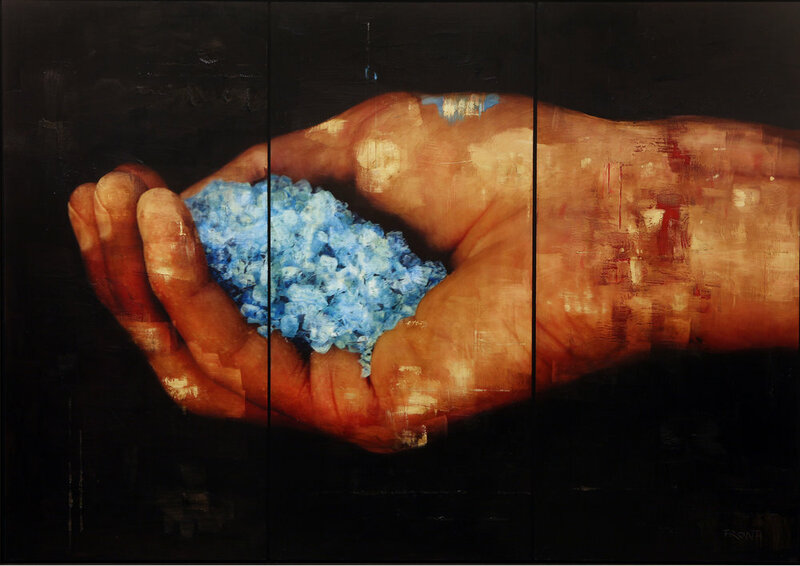 And in his studio with his large commission for the Norwegian Intelligence Service HQ. One of their officers died in a IDF - attack en route from Mamare. Only the broken glass of his windshield remained.